Lee and the policeman meet up for their much-needed night out. On the way home, they walk past the scrubland, where one of the murders took place. Scuffling noises sound, and the policeman leaves Lee on the sidewalk to investigate. The killer’s ire is up, and his desperation at having Lee all to himself surges to the fore. When will this madness end? And will Lee come out of the ordeal with his mind intact? The First Kill: A completely new start brings horrors that Lee could well do without. Who is killing the townsfolk? And who is sending those macabre gifts? Lee has moved to town to start again. His last relationship turned sour, so he opens a bar and throws all his energy into it, though two men he has befriended cause him to wonder if he’s ready to take the plunge again. However, a murderer is out there, sending gifts to Lee—body parts—as a token of his love. Rumours say it’s a wild dog roaming the forest, but if that’s the case, who is sending the presents to Lee? The Talisman: Body parts keep arriving at Lee’s bar after every kill. How many more gifts will he receive? After the shock of receiving yet another body part in the post, Lee gains news of the latest murder. 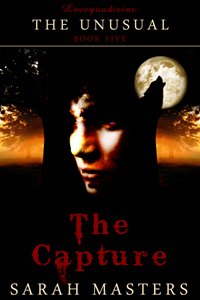 The rumours are still rife that a large dog is killing residents, but with the arrival of werewolf hunters in town, Lee is forced to contemplate the absurdity that the killer is a man and a wolf. The head hunter gives Lee a talisman for protection, and Lee becomes the shoulder for the local policeman involved in the case, who needs to talk about his burdens. The Capture: As the stress levels increase, Lee is about to discover just who and what the killer is.